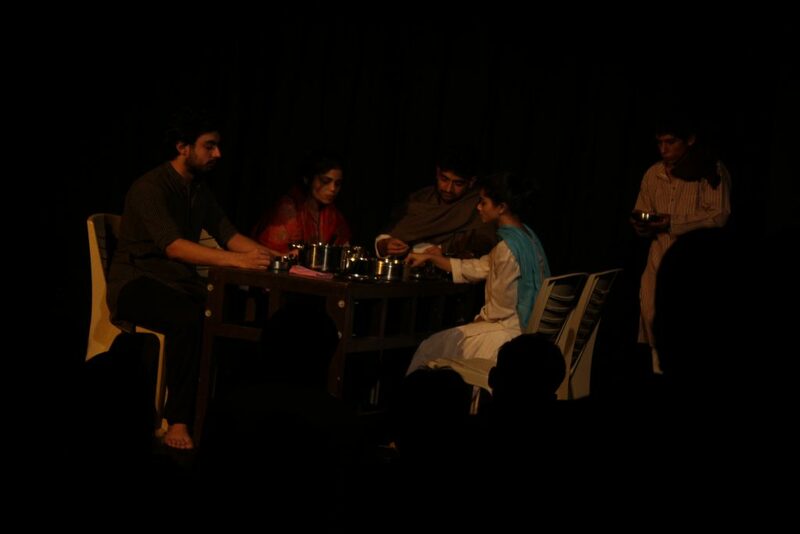 Every year, students from the Post-Graduate Programme in Acting & Theatre-making at DSM, put together a student showcase. This is their first ever public performance and we call it Madhyantar. A student showcase means the students write, direct, act in and stage-manage everything. They have help of course. This year, we had faculty member Kalliroi Tziafeta mentoring them for a week. DSM alumnus Harish Kulkarni made time to light the student showcase. 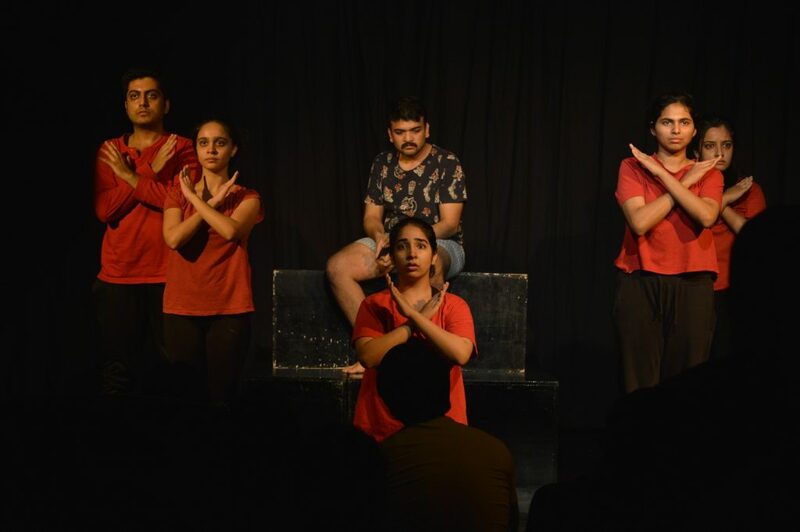 The 18 students put together 8 pieces of performance that evolved out of their Theatre Making Lab experiments. 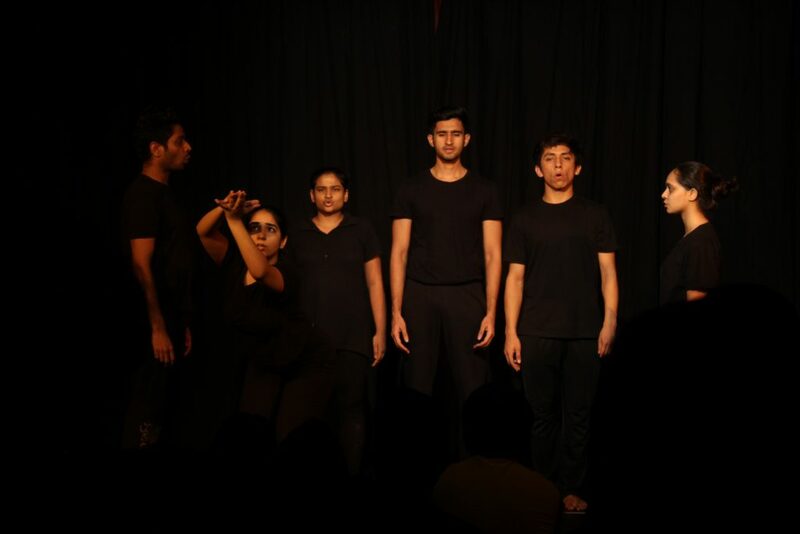 From the works of American playwright Martin Sherman and poet Rainer Maria Rilke to a platform performance of Bollywood hit Koi Mil Gaya, the students captured various forms and styles of theatre. A highlight of the evening was an expressive rendition of the Elphinstone Bridge stampede that shook Mumbai in 2017. 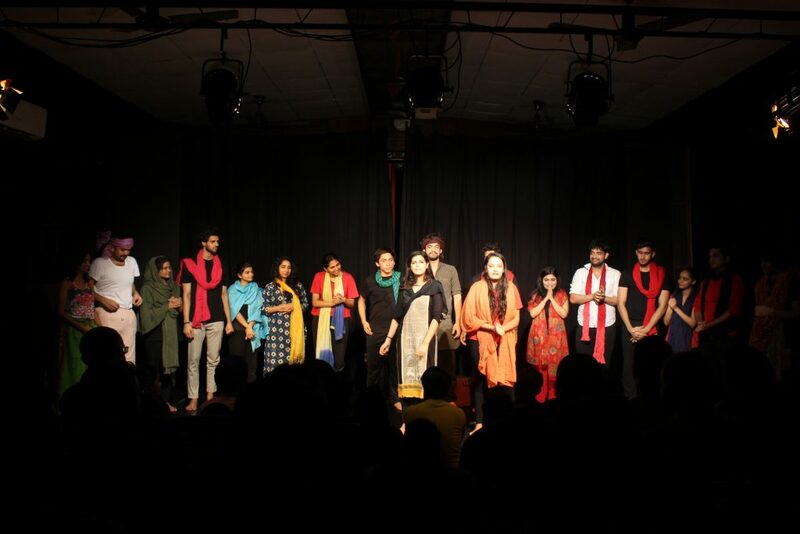 The showcase ended with a folk rendition Jalmachhli by the Rim-Jhim Mandli, as the students dub themselves. Mumbai Marathi Sahitya Sangh, we had former Theatre Secretary Subhash Bhagwat. 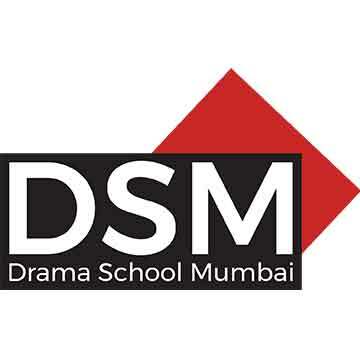 And of course various faculty members, alumni along with DSM co-founder Jehan Manekshaw and Shernaz Patel, DSM convener for 2018-19. It was a great evening of theatre (if we do say so ourselves). The audience were pleased with the student shoscase. The last number performed by the students had everyone’s feet tapping and hands clapping. For us, there could be no better way of ending this year.